Abies alba 'Pygmy' is an extremely dwarf, globose dwarf form of European white fir with shiny medium green needles with shimmering silver undersides. After 10 years in the garden, a mature specimen will measure approximately 12 inches (30 cm) tall and wide, suggesting an annual rate of growth of an inch (2.5 cm) or less. 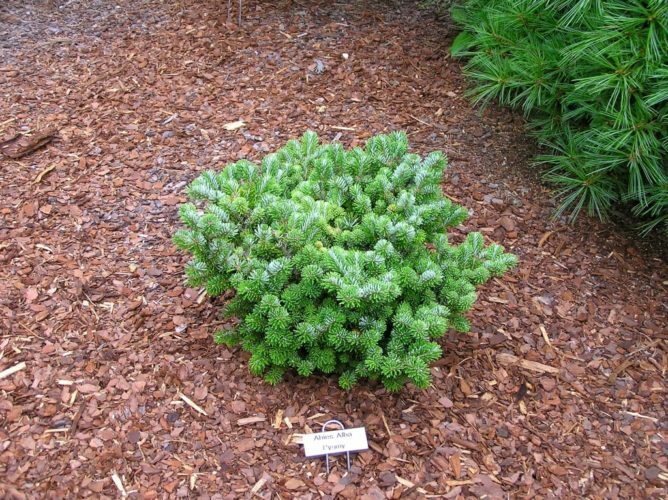 This would be a perfect candidate for inclusion in a small rock garden or a formal setting of dwarf and miniature conifers. The origin of the cultivar is unknown. Its first known description was by Dutch nurseryman, Wiel Linssen, The Netherlands in 1990. 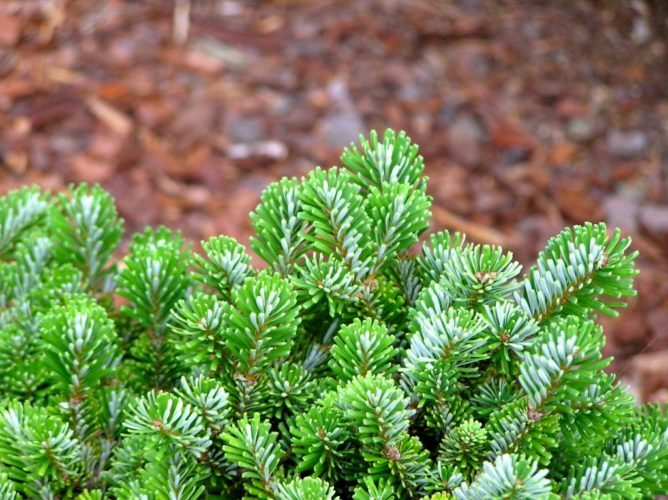 Abies alba 'Pygmy' — a closeup of foliage detail.